Exactly how big are English livers? which of course begs the question, exactly how big were English livers in WWII? I mean, the Germans built 7 foot long bombs to take them out. 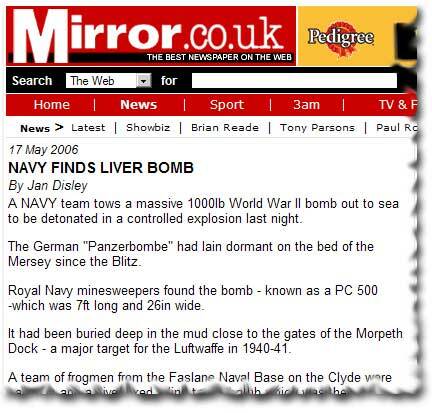 Jan obviously meant ‘live bomb’ but to remove any further ambiguity the headline was changed a few hours later to read; WW2 BOMB GETS BLOWN TO BLITZ. 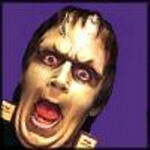 Posted on May 18, 2006 April 13, 2013 Author MikeCategories d'oh, headlines, humor, wordsLeave a comment on Exactly how big are English livers?